Although you don't need to diligently study Mandarin to travel, there are a few phrases to learn before visiting China. Arriving armed with a few basics will make life much easier once you're on the ground and away from English-speaking help. Words in Mandarin are deceptively short, but here's the catch: it's a tonal language. Words change meaning depending upon which of Mandarin's four tones you use. Fortunately, context can help others to understand — but not always. You’ll inevitably encounter some difficulties while communicating in China; consider navigating the language barrier part of the fun to unlocking China's wonder! Knowing how to say hello in China is obviously the most useful Mandarin phrase you can add to your language repertoire. You’ll have plenty of chances to use your Chinese greetings throughout the day, whether or not the person to whom you are speaking understands anything else that you say! The simplest, default way to say hello in China is with ni hao (pronounced like: “nee how”; ni has a rising tone, and hao has a tone that falls then rises). Saying ni hao (literally "you good?") to someone will work in pretty well all contexts. You can also learn some easy ways to elaborate on the basic Chinese greeting and how to reply to someone when they ask how you are doing. As a tourist traveling in China, you’ll get plenty of attention from drivers, street hawkers, beggars, and people trying to sell you something. The most persistent of annoying offers will come from the numerous taxi and rickshaw drivers you encounter. Although many people will understand that you are declining whatever they are selling, you may still need to repeat yourself many times! Renminbi (pronounced like: “ren-men-bee”): The official name of the currency. Kuai (pronounced like: “kwye”): Slang for one unit of currency. Translates to “lump” — a leftover word from when currency would have been a lump of silver. Jiao (pronounced like: “jee-ow”): One yuan is divided into 10 jiao. Think of jiao as "cents." Fen (pronounced like: “fin”): One jiao is further divided into 10 fen. Sometimes mao (feather) is used in place of fen. Fortunately, you won’t have to deal with these smaller units of currency too often. From seat and car numbers on trains to haggling prices in markets, you’ll often find yourself dealing with numbers in China. Fortunately, the numbers in Mandarin are relatively easy to learn. If you do want to optionally study a little Mandarin before arriving in China, consider learning to read and write the numbers. Knowing the accompanying Chinese symbols for numbers can help you spot discrepancies between the actual price on a sign or tag and what you're being asked to pay. The Chinese system for finger counting helps ensure someone understood a price. Locals will sometimes give the equivalent hand gesture to go along with an amount quoted; they do so with each other as well. The numbers from five and above aren’t the same finger-counting gestures commonly used in the West. Not something you want to hear too often, mei you (pronounced like: “may yoe”) is a negative term used to mean “can’t do it.” Note that you is not pronounced the same as "you" in English. You’ll hear mei you when you’ve asked for something that is not available, is not possible, or when someone is disagreeing with a price you’ve offered. If something is not possible and you push too much, you risk causing an embarrassing situation. Learn a little about the concept of losing face and saving face before you travel to China. As you travel throughout China, you’ll often hear the word laowai (pronounced like: “laow-wye”) — perhaps even accompanied with a point in your direction! Yes, people are most likely talking about you, but the word is generally harmless. 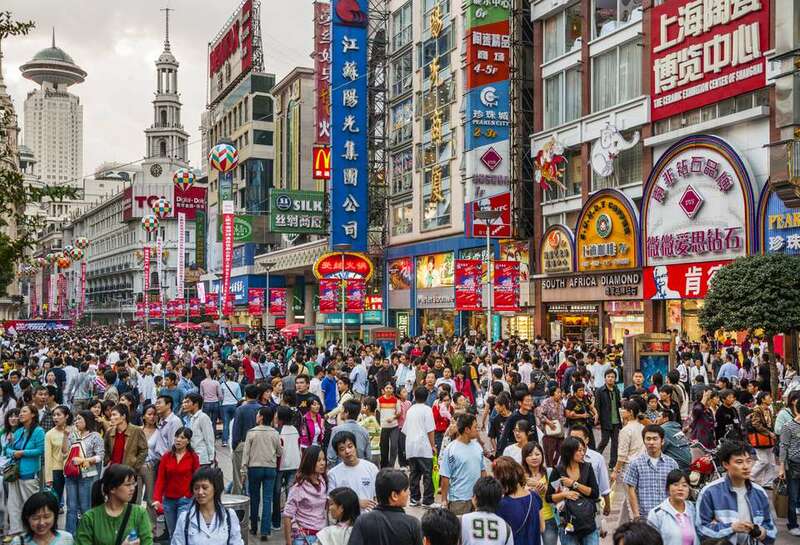 Laowai means "foreigner" and typically isn’t considered derogatory. Shui (pronounced like: “shway”) is the word for water. Kai shui is boiled water served hot. You’ll find kai shui (pronounced like: “kai shway”) spigots that dispense hot water in lobbies, on trains, and all over the place in China. Kai shui is useful for making your own tea and for boiling instant noodle cups — a staple snack on long-haul transportation. Note: tap water is generally unsafe to drink in China, however, kai shui is considered safe for consumption. Ganbei (pronounced like: "gon bay"): cheers — used when giving toasts in China.